These impact resistant toilet cubicle brackets are an ideal solution for those seeking L-shaped cubicle brackets for 13mm partition. Manufactured from grade 304 satin stainless steel, these cubicle brackets render a long lasting and contemporary finish. 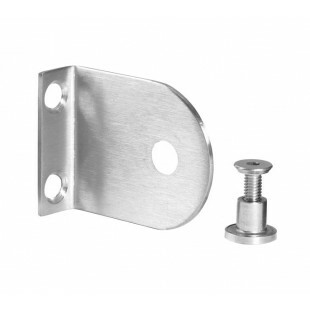 Our toilet cubicle brackets are sold with a T-nut and countersunk machine screw to enable a secure fix to the partition, two short screws for fitting to the partition and two long screws with plastic plugs for fitting to the wall. 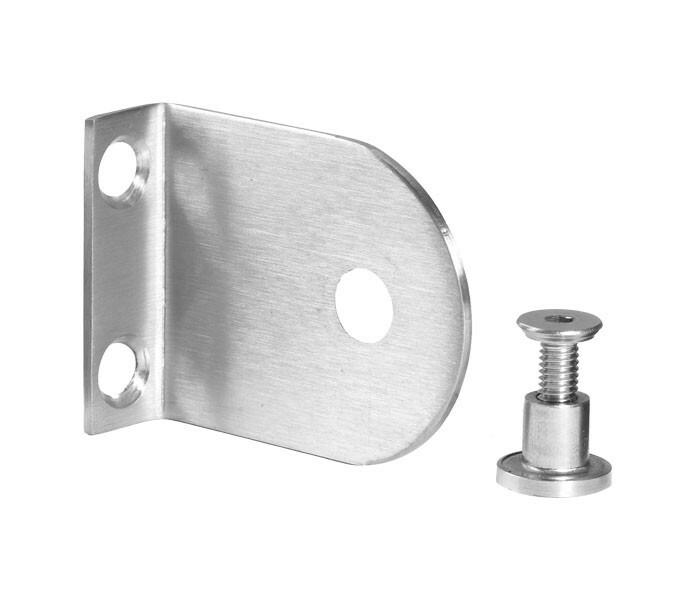 Bolt-through fittings (T194) can be used in place of the screws if required. These can be ordered separately.